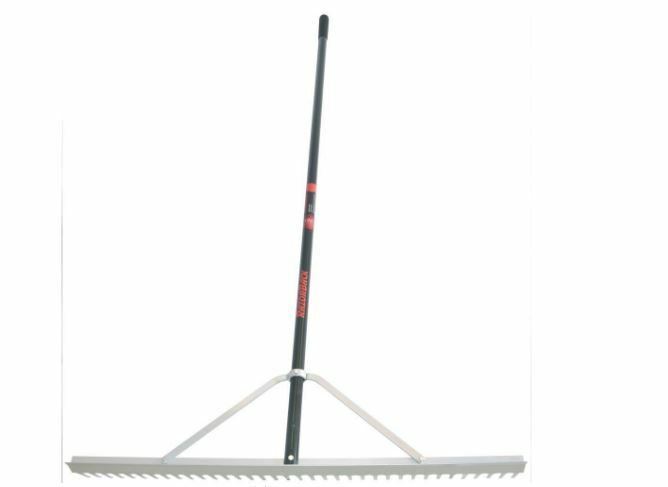 The Razor-Back aluminum landscape rake is designed with a wide head to level quickly and smoothly. The 36 in. aluminum head is lightweight despite its size. It is a heavy duty rake that is great for contractor and professional use, as well as serious homeowners.8715.